Former Resimac general manager Adrienne Church is set to head up a new Australian lending business in New Zealand. Adrienne Church has been appointed general manager in New Zealand for small business lending specialiat Prospa. 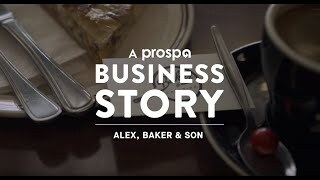 Prospa is the number one online lender to small business in Australia, with ambitions to become the leader in this space in New Zealand. Church will manage operations and be responsible for building Prospa’s presence in the New Zealand market, driving engagement with partners and small business to deliver finance solutions that keep small business moving. Prospa provides business loans in New Zealand ranging from $5000 to $150,000, with no asset security required to access up to $100,000. Application takes just 10 minutes, businesses can receive same day approval, and funding is possible within 24 hours. Prospa currently works with more than 10,000 partners, including aggregators, associations and trusted corporate brands and recently joined the NZFSG panel. Previously, Church spent seven years establishing Resimac's New Zealand operations. “During that time she has led the New Zealand business through a period of tremendous success and growth," Resimac chief executive Scott McWilliam said in a statement. The company has built its share of the non-bank space to 42%, up from 35% the year before. The company attributes the growth to a busier adviser channel. Resimac New Zealand operations will continue to be run locally, rather than from Australia, following her departure. McWilliam said that the some of the senior management would step up into bigger roles, and the Australian-based chief financial officer, Jason Azzopardi, would have more oversight of the business. "It's important day-to-day operations are run from New Zealand," he said. "We absolutely recognise that."